Suspension of classes on July 28, 2014 has been declared in at least 32 schools in Quezon City, the Department of Education said Thursday. 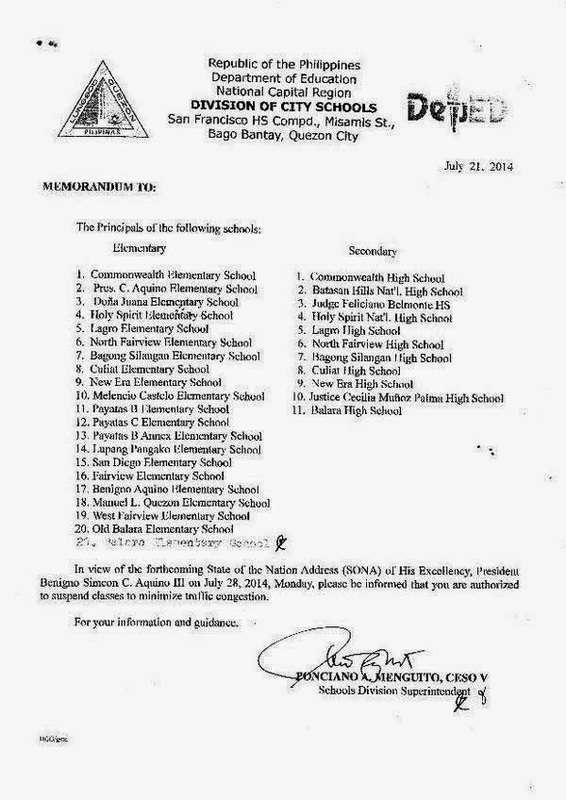 DepEd posted a scanned copy of the memorandum from the Division of City Schools listing 21 elementary and 11 high schools with class suspension in time for President Benigno Aquino III's State of the Nation Address (SONA). In the memo, schools division superintendent Ponciano Menguito said the aforementioned schools have been "authorized to suspend classes to minimize traffic congestion".